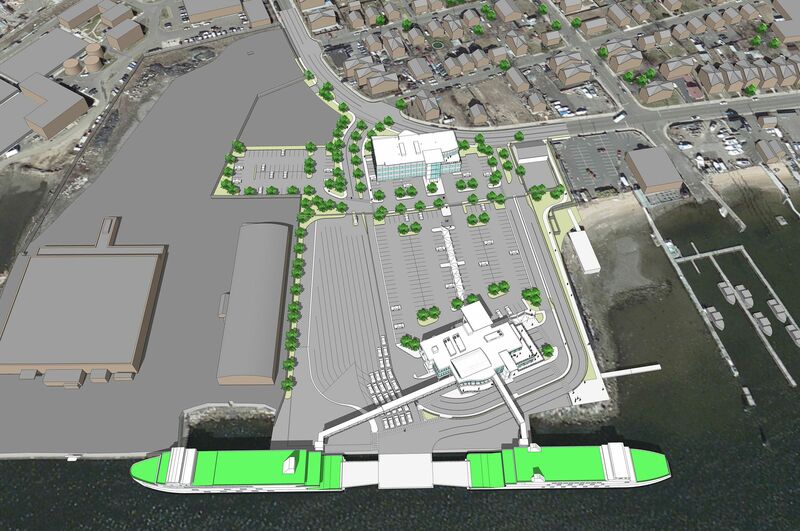 Ferry Terminal - SMOOK Architecture & Urban Design, Inc. Anyone who has ever traveled from New England to Long Island knows the benefit of a driving break from that highly congested interstate route. 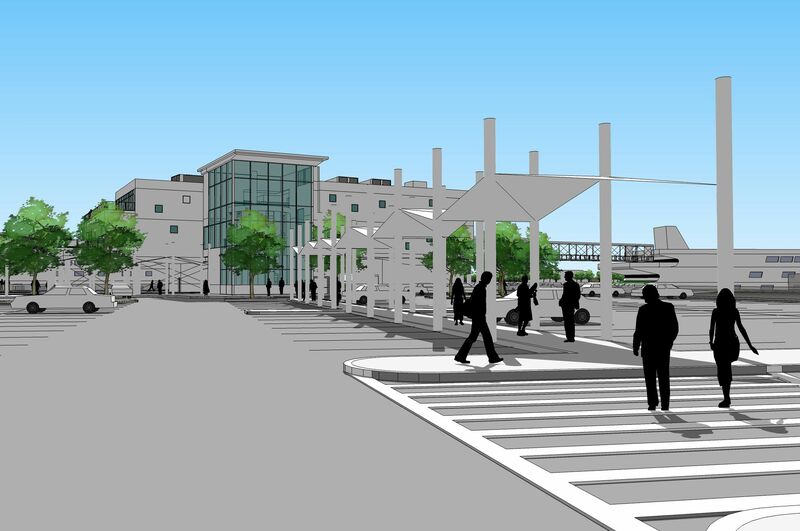 The Bridgeport to Port Jefferson Ferry has been in operation for over three decades, but the facilities are outdated. 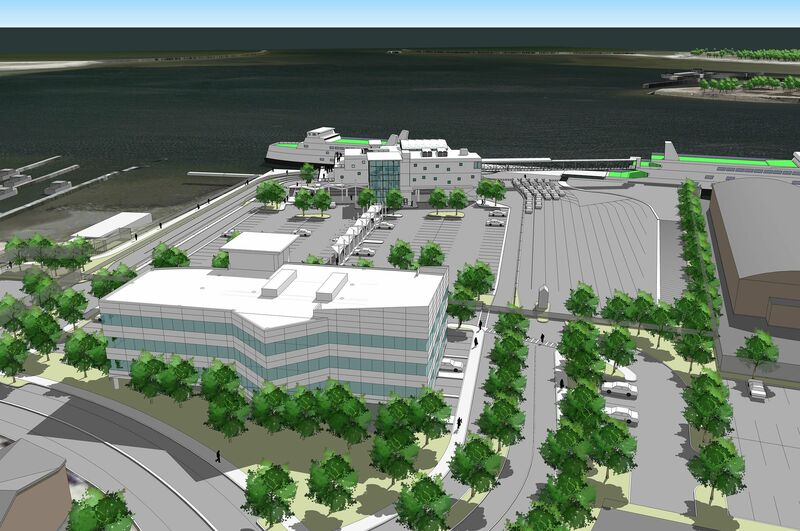 Working with an experienced transportation planner, SMOOK Architecture designed a new efficient facility for the Bridgeport Ferry terminal as well as 20,000 SF of back office space for the operator to consolidate operations. The three-story facility is horizontally layered. 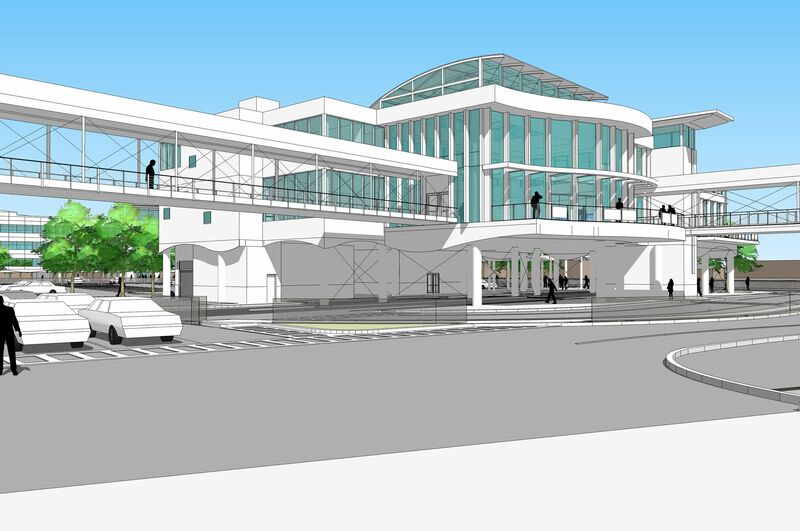 The ground operations occupy the first level, the second floor features pedestrian walkways to the main entrance as well as ticketing, café, restaurant, and the third level occupies meeting and function facilities. Strong nautical themes are prevalent throughout the design. 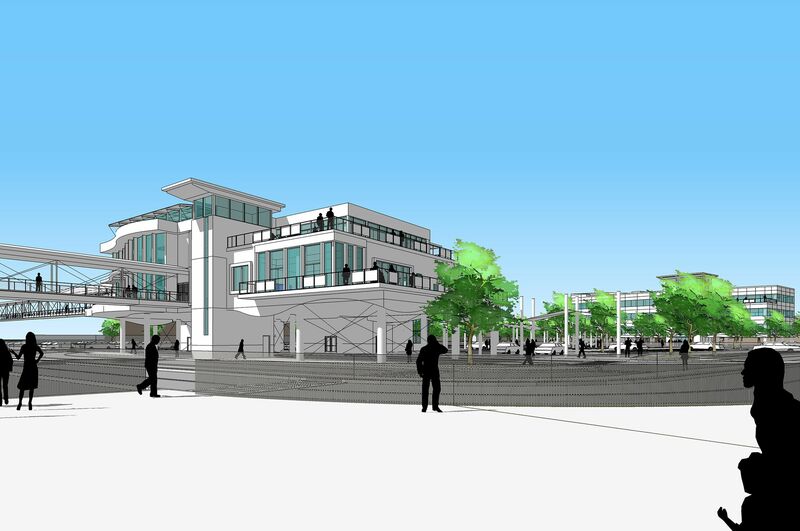 Soft lines highlight the terminal on the waterside, whereas more rectilinear forms mark the landside. The back-office building, set the farthest from the water is a simple, yet elegant building with dynamic lines.